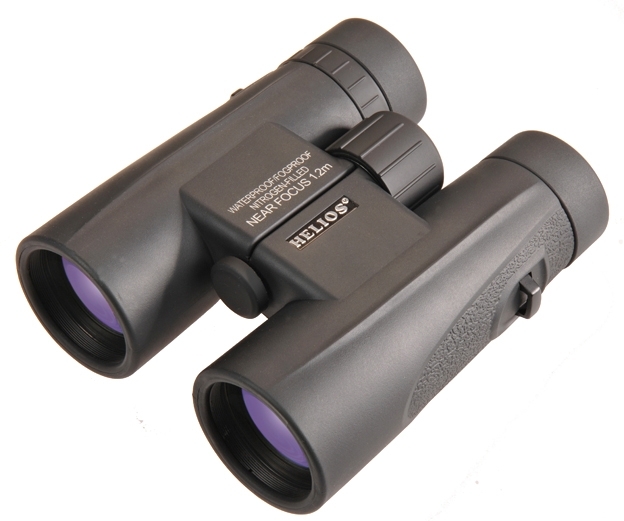 Helios Ultrasport binoculars are ideal for birdwatching. High quality with rubber armouring. Modern open hinge design combine light weight with excellent optical performance. BaK-4 prisms and fully broadband multi coated optics. O-ring sealed and nitrogen filled for waterproof, fog free performance. Advanced click lock dioptre adjustment integrated in the focusing wheel. T wist up eyecups for spectacle wearers. Comes complete with neck strap and case.